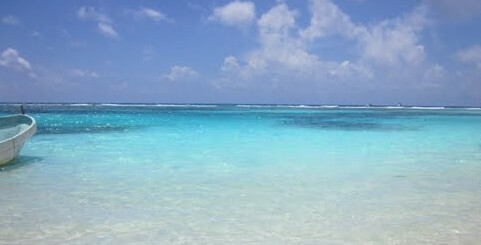 ← Questions About Diving Mahahual/Costa Maya? Below is the Tales from Mahahual posting board for Mahahual real estate that is “for sale by owner”, or FSBO, as it is referred to in the industry. 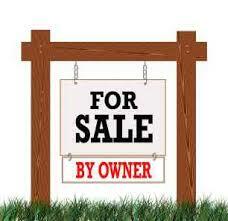 The board is a free posting area that will allow any property owner post their property for sale. In addition to a place for sellers to post their properties, it will also provide local professional legal and translated services for both buyers and sellers. The intention of the page is to connect buyers with sellers, and provide a more wholesome, healthy and knowledgeable local real estate market. This blog will not be engaged in the sales process, as buyers will contact sellers direct. This blog will not guarantee the legal title or the accuracy of any info posted here, with the hope that by also providing good local Mexican legal services, transactions can be done properly and at a fraction of the usual real estate commissions. Buyers and sellers can each hire their own professional legal representatives for far less than a real estate commission, and know their transactions are being done by local professionals, and not poorly trained “Realtors” who work unregulated and often cause more problems than they resolve. Too often they do not know the laws, sometimes even the language, and there is no regulated real estate sales apparatus in Mexico like the US or Canada. Why take the chance. The below owners have chosen to use this blog to display their properties for sale. Take some time, and read some of the other features we have written about regarding real estate in Mahahual and in Mexico in general. There is also lots of good general information blogs under the real estate link on this site’s main tool bar. Please send us a note if you need info and we will try to connect you with the professional you need. Contact us here on this blog at any of the contact links if you would like to post your Mahahual/Costa Maya real estate. Oceanfront and like new, 2+ bedrooms, 3 baths, 1950 sf villa on one of the Costa Maya’s most pristine beach areas. Turn-key operation, fully furnished and ready to move right in. Has a great rental history already established. Mahahual Casita in Nuevo Mahahual/Casitas area. Downtown Commercial Lot. Town center. 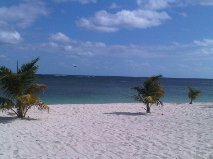 $3,000 USD per lineal meter of beachfront is the very best price you’ll find for oceanfront Caribbean property. Don’t take my word for it, check around. Lots in the Placer area are listed for $8 -$12,000 US per lineal meter for comparable property. There are 60 meters of build-able space between the road and the federal zone, so you have lots of room to build. A new CFE electrical line has been along the road that fronts the property and soon the property will have city electric service, making it one of the very few remote areas with full, on the grid electrical service. This means you can have A/C! This is prime 60m deep, high sitting, beautiful oceanfront property, at a sick low price. The property is one of the very few large, oceanfront properties still around and is suitable for building a small hotel or dividing into smaller building home sites. Developers, group investor friends or someone just wanting to build a really large home, this is the property. Lots of oceanfront property out there these days, but none priced like this. Owners are Realtor/Builders from the US. These two lots are remote, but without some of the less desirable features that often go with having remote properties. Mainly, it has access to power company electric service, and the drive to the property requires less than a mile of travel on rough, poorly maintained sand beach roads. In the 70 miles of oceanfront that make up the Costa Maya area, less than 10, including the 2-3 miles in Mahahual town, have electric service. No electric service, means solar power and solar power means no A/C. If you want A/C, you better find a place within that 7-8 miles of remote electric service. The property is about 7 miles out of town via road, and over 6 of those miles are on paved road. Getting into town is very fast because there is no bad road to slow you down like most remote places. Otherwise, the lots are like all, beautiful and have great beach. The road is far enough back to allow building a house on the ocean side, with the road at the back of the property. The lots are currently held in a bank trust, which assures you will have a clean and easy title change because they have already done it when the sellers bought the property. Bank trust closings have no problems. Contact the owners Darlene and Vince Bennett and they will send you all the details. This is a place for the people who want to be away from everything and don’t mind the little extra trip to get there. The normal rule is, the more remote, the longer the trip and the worse the road gets the closer you do get. Mountains, jungle, take your pick. This place is no exception to that rule. But if you want a remote paradise, this place is it. It has a large lot, 1.5 acres, but it is also the last place on a very uninhabited road, so believe me, you are remote. No worry, the military has a camp close by, Belize waters are right there, so it is a Navy outpost, so you are very safe there. The main house is two one bedroom casitas, but there are other buildings on the property too, making the amount of built square footage and property size, a great deal for the price. Look at a building lot that size in Xcalak, and add the cost of the same construction, impact fees and environmental studies, and the price seems like a very good deal. Check the property’s site here http://oceanfront-beachhouse.com/ and for all their contact info. 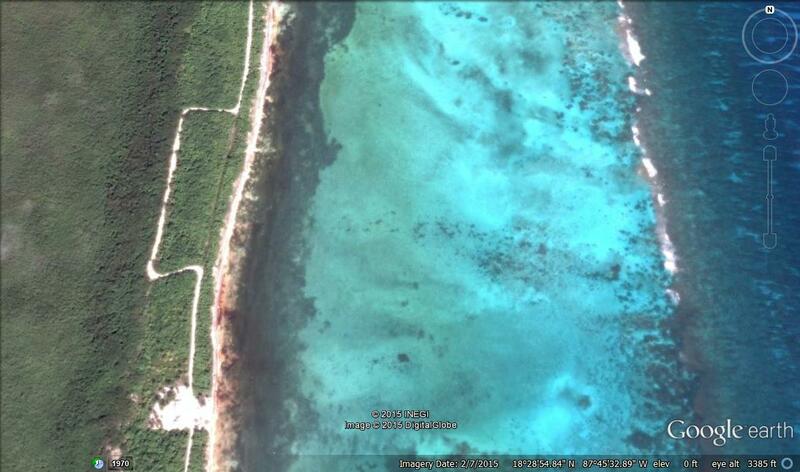 Here is another building lot (20m x 90m) that is very close to the paved road that goes from Mahahual to Xcalak. The oceanfront lot is on the beach road, about 3 km from the second beach access road, which means that to get to it, you only need to travel on about 3 km of sand road. The lot is in the Xuayaxuol area, about 33 km south of Mahahual and about 7 km north of the burned out bridge on the beach road. This area is very remote and the jungle area, as well as the beaches, are some of the most pristine in the entire area. It is one of my favorite snorkel and beach areas. Lobster so thick, you can take your pick! The photo shows the area where the lot is and how the road was moved for the 11 lots that are inside that area. This allows the owner to build on the ocean-side of the road and still have a safe setback for storm surge. Currently owned via a bank trust, so you know the title is clean and easy to buy without problems. Contact the owners in the US for photos and more info. Keep checking as we will add properties as they come in. I have not heard anything on that in a couple years. When the current Governor took over, they commissioned a feasibility study to decide and that was the last I heard. It would surprise me if the money for that came anytime soon, but the airport expansion in Chetumal also caught me off guard as well. The bridge would be nice, but I have not heard anything on that or even what the study yielded for that matter. As a former construction guy, I can say it could be done easily enough. Getting the money in a strapped Mexico budget will not be nearly as easy though. We’ll keep our fingers crossed and hope it happens. Thanks for reading the blog Erika. Sorry I’m slow but was locked out of my blog and I had a difficult time with WordPress getting it back up. Lots of good deals right now if you look though. Lots on the beach especially because the inventory is very high. Houses less so, but there are a few out there too. Many properties are not seriously for sale, in that owners will sell thinking “if someone will give me this much, okay I’ll sell” and those tend to be priced high. But because it has been slow, there are some who really want to sell, and you can get a good deal. Just not lots of houses like there are building sites. Be sure to read all the blogs on general info about rel estate before you get going. Those are written to keep you between the lines as you get into the process. Thanks so much for the response and the advice. We are planning to come back in January and start looking for. Beach front. Fully turn key. Open to offers. My email is on the website. Email with any questions. Saludos! Erika, we do have our house on the market and do want to sell. We are North of Mahahual. For us far enough way from the cruise ship activity if we want and yet close enough to town to conveniently get what we need. Our home is listed as property # 1 on this website. Please let know know if you would like more information. I would also, suggest that if you want to purchase an existing home that you try to rent it before making any kind of commitment. Erika, I don’t know if you have found what you were looking for, but I have a house on the Beach in El Placer we are interested in selling. Founds this site looking for additional listing options. We love the house, but because of my wife’s work situation it hasn’t turned out the way we originally planned. I also have developed a medical condition that also makes the sale of the home a little more urgent. We would like to avoid Real Estate Agents if possible, which for you would be best since we would be able to discount the price of the house further. Absolutely interested. Can you give more information? Do you have photos? Hi Rick, is your home in Xcalak still for sale? If so how can we see it? Lollie, Our house is still available. Check it out at http://www.xcalakparadise.com. Use the contact form there to contact me directly for more information. Happy to answer your questions. We have 3 lots 7.9 KM North of bridge in Xcalak between (old Sandwood) – now called Acocote Inn and Sin Duda. We have owned these 3 lots since 1994. I can give you the name of our attorney in PDC if you would like to verify any details.